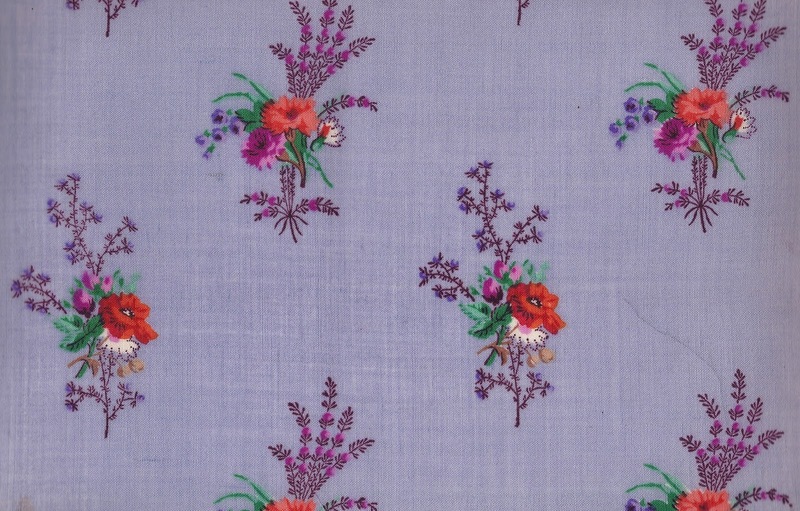 A very fine French woolen dress fabric, know as muslin of wool, was woven in the Alsace region of France in the early 1830s. Within a few years, several companies in Mulhouse were using the Perrotine printing machine on this luxurious fabric. 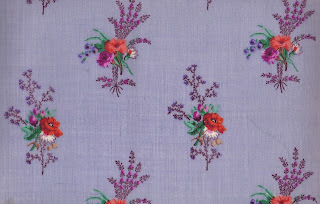 This example is from one of my 1863 fabric sample books. I started my Apparel and Textiles class at Montana State University last Thursday. It is a required class for Family and Consumer Science, teaching option, majors. I also have 3 architecture students in the class. I was reading a section in a text book...about the famous saying..'All fashions end in excess'. The point was that once a style reaches an extreme it is nearing the end of its cycle and people will be looking for a different look....a new fashion. The example given relates to architecture! 'When 18th century hoop skirts expanded to more than 8 feet in width'.....the image in my mind was a Civil War Era hoop skirt. I had made the mistake I cautioned my students about on Thursday....the 18th century really means the 1700s!! Then I remembered those wide skirts shown in pictures of Versailles. These garments were so wide it was difficult to maneuver through doorways. The solution was to design doors wider than the skirts....thus the 'French door' which is popular still day.